Just like they say there is a calm before a storm, it seems like the wind is slowly whipping up in the UK retail banking market. Between Monzo, Tandem and Starling, the fintech banking hunger games seems to be in full swing. Monzo is now exploring the US, while Tandem, who purchased Harrods banking license last year, has now launched its first product – a cash back credit card. But moving at a dramatic pace up the list of serious contenders has to be Starling Bank, and Monzo is no doubt a little worried. Either the upstart has an incredibly good PR and spin team, who are flooding my Twitter feed with well-timed and targeted tweets, or they have seriously managed to get their ducks in a row, and are now executing like mad. My gut tells me it’s the latter, based on the number of fintech’s that have been announced so far this year as additions to the marketplace. Already the likes of PensionBee, Flux, Wealth Simple, Habito and Kasko have been made public, with CPO Megan Caywood indicating a total of 25 partners are expected to be onboarded this year. If they’re clever in how they time it, that could be an easy PR piece every two weeks for the bank, and will keep their growing customer base engaged. But what comes as additional good news for small businesses, is that Starling is committed to having fintechs connected that specifically cater to them as well. I am bullish on the nexus I see between micro-businesses and consumer banking, and believe if you can play into this niche well, you have a killer strategy. If this is what Starling intends to do, it’s potentially very exciting. 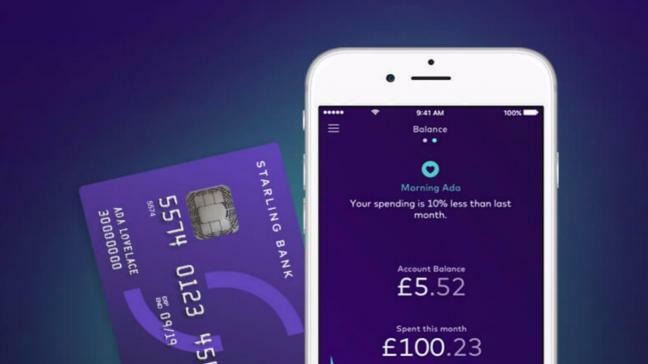 Just this week Soldo, a fintech that helps manage business team expenses, was announced as a new integration into the Starling Payments Services Division, which offers access to the UK’s Faster Payments. In addition, Starling also announced this week that the bank would move into merchant acquiring, the first challenger bank to do so, according to Finextra. Even in an increasingly cost sensitive market, acquiring is still a very profitable line of business for a bank. Especially for one like Starling where overheads are likely to be low. Starling, now that it feels like it has truly arrived, is forging ahead at a lightening pace. If I were any other digital bank, I’d certainly be checking on the life rafts, just in case this storm intensifies.